In a report obtained by AppleInsider on Thursday, well-informed KGI analyst Ming-Chi Kuo offers his predictions on Apple's anticipated next-generation iPhone, including a new 128GB storage option and a gold colorway. Kuo points out in his note investors that the so-called "iPhone 5S," will carry over many of the features already established with the current iPhone 5, including the 4-inch screen form factor. The analyst predicts Apple will make the usual processor buff, this time to a new A7 system-on-chip design with 1GB of LPDDR3 RAM. The latest chip is expected to be of Apple's own design based on the ARMv8 architecture, suggesting efficiency may be increased by up to 20 percent. Because Apple controls both the operating system and hardware for the iPhone 5S, it can optimize the faster LPDDR3 RAM spec for the A7 SoC, keeping the amount of addressable memory to 1GB. 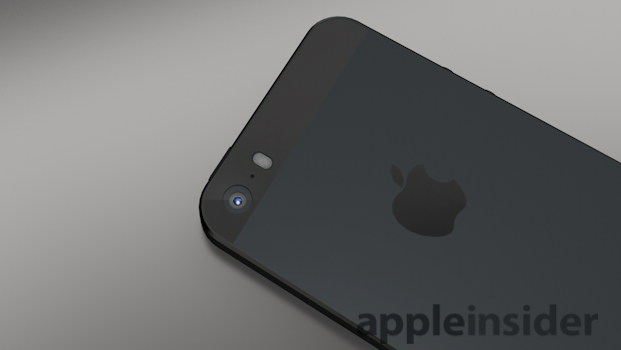 The phone's rear-facing camera will also be tweaked. While the sensor unit will remain untouched, the iPhone 5S shooter will use a larger f2.0 aperture lens assembly with dual LED flashes. As for the widely rumored fingerprint sensor, Kuo reiterated the view he expressed in a separate note last week, saying the package will likely be embedded in a sapphire glass home button. For storage, Kuo expects Apple to add on a new option for a capacious 128GB of on-board flash memory, the same change the company made to the fourth generation iPad in February. Finally, a new option for a gold casing is expected to be offered alongside the traditional black and, with the iPhone 5, silver colors. Gold parts purportedly bound for the 5S were leaked in June, though an accompanying chassis sporting the new color has yet to surface. Contrary to some predictions, Kuo doesn't see Apple implementing near-field communication (NFC) in the iPhone 5S. Apple is rumored to be prepping for a Sept. 10 iPhone announcement, at which the company is expected to launch the iPhone 5S and possibly a less expensive handset dubbed the "iPhone 5C."